Hilário, founded in May 1984 is primarily engaged in the manufacture and sale of equipment for horizontal road marking, suitable for cities, highways, local roads, airports and parking lots. It operates in domestic and foreign markets (countries of South America), always looking for an excellent standard of quality. It started its activities producing equipment mounted on truck chassis, having as its first customer the City Hall of Barueri, in São Paulo. COMPANY It emerged in 1984, with manufacturing and marketing of equipment for horizontal road marking. 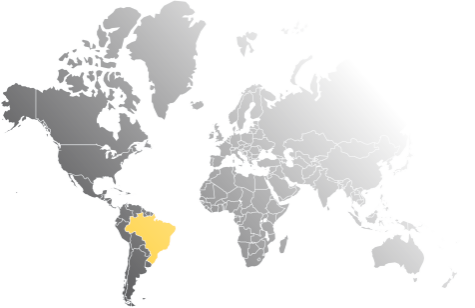 ACTION Located in SP, operates in domestic and foreign markets (countries of South America). CREDIBILITY All machines are registered with the BNDES program, facilitating the negotiations. During these years of operation, it has obtained a prominent position and innovation in the sector of machinery and equipment for painting and horizontal road marking. ALL THE EQUIPMENT IS REGISTERED IN BNDES PROGRAM, AND THE FINANCING MODALITIES: FINAME, BNDES CARD, PROVIAS AND PROGER. These alternatives facilitate greatly the negotiations with private companies as well as with the local governments.